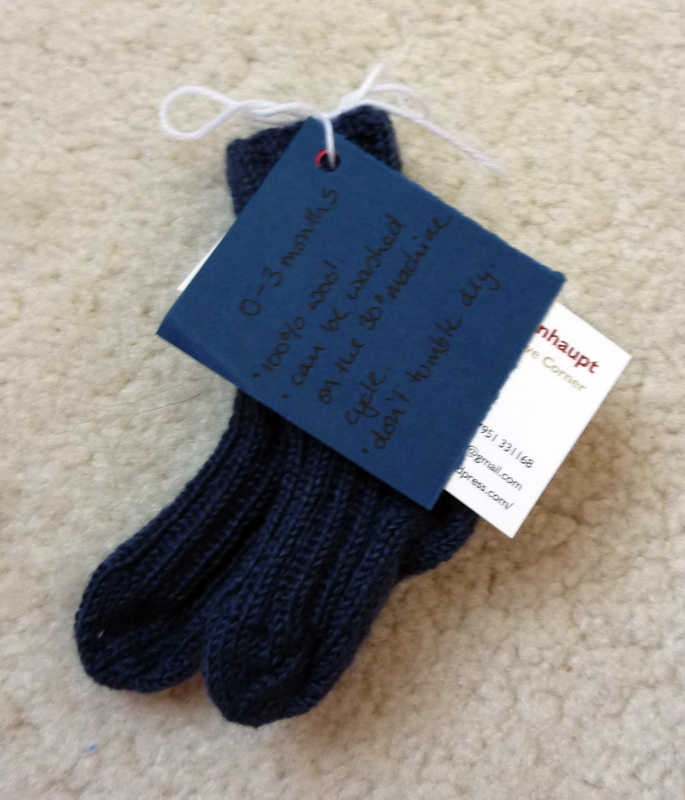 Here’s a pair of newborn to 3 months socks that I knitted for charity while we were in Australia in November. They were knitted for a friend in Belfast who was organising a market to raise money for a little girl with cystic fibrosis. 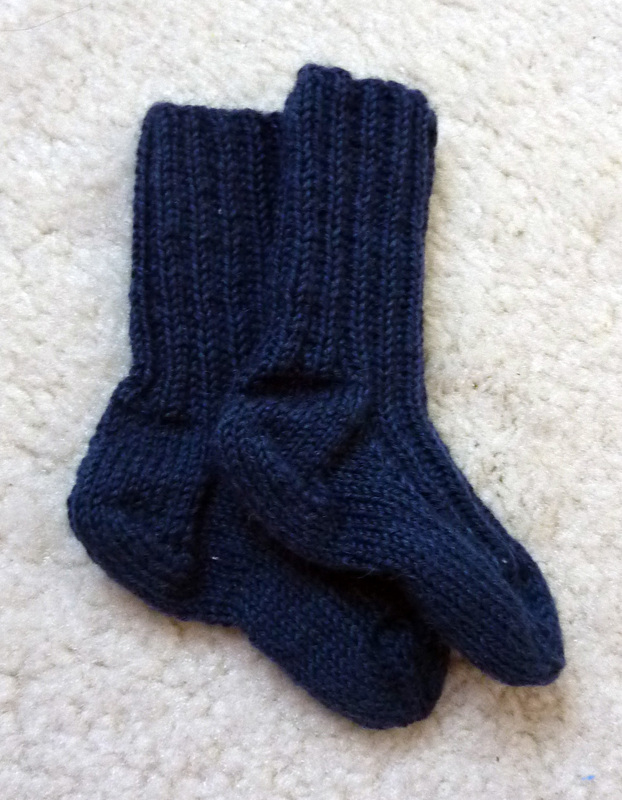 I used some blue yarn that I had leftover in my stash and just my pattern to finish these. They look tiny and that’s because they were actually tiny. I’m not sure whether they were actually sold, but I do hope that they found a good home. Here just a quick look at the little label I made for them. 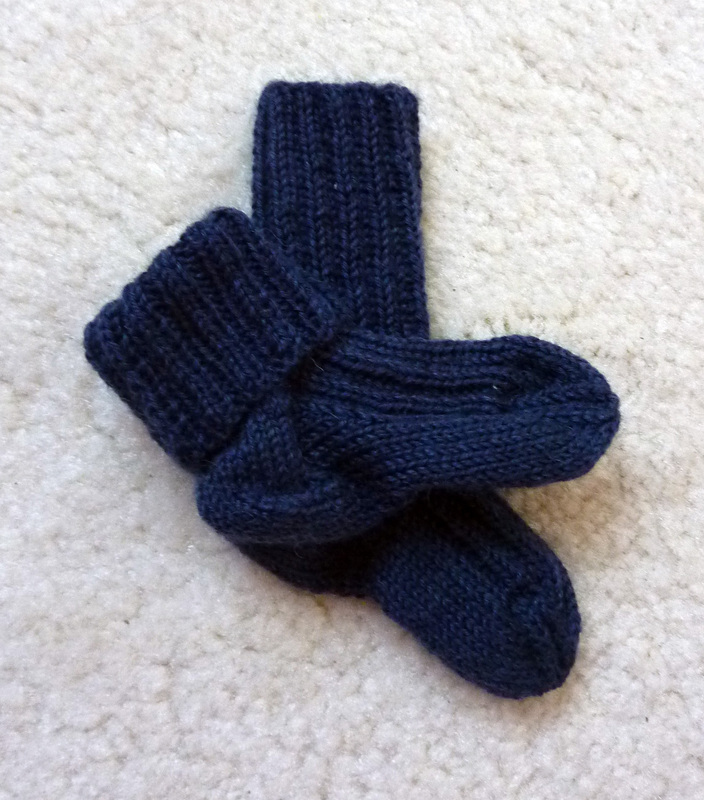 This entry was posted on February 21, 2012 at 8:58 pm and is filed under Baby, Knitting with tags baby, baby boy, baby girl, baby socks, boy, girl, socks, warm. You can follow any responses to this entry through the RSS 2.0 feed. You can leave a response, or trackback from your own site. i hope they help raise a lot of money to help your friend’s daughter.